Toronto (ON), Canada – Zevrix Solutions today announces Package Central 1.11.4, a compatibility update to its document packaging workflow automation solution for Adobe InDesign. 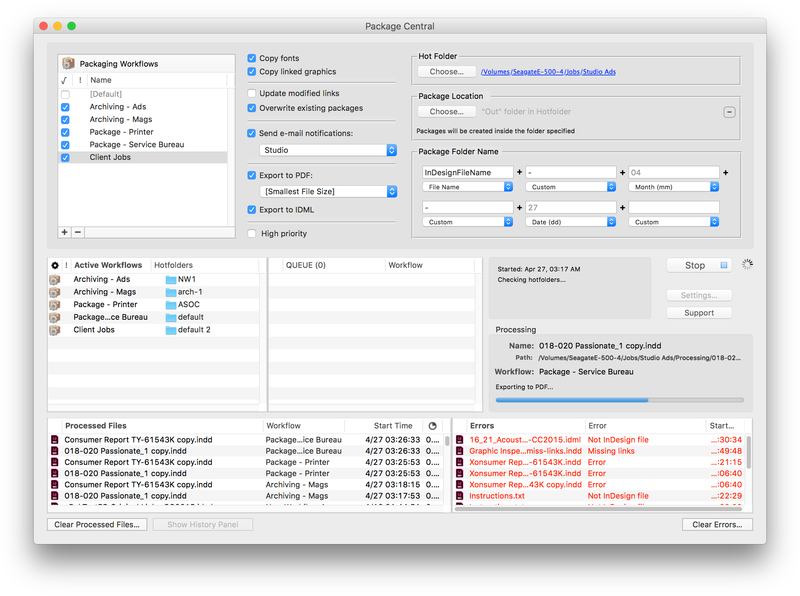 Originally developed for a major publisher in the United States, the software automates InDesign packaging by processing files from hot folders. Package Central offloads file packaging to a central system leaving operator workstations free from the document collection process.